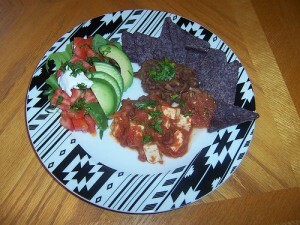 Published on May 29, 2012 in Dinner at Home and Meals in a Hurry. Closed Tags: grill, sandwich, tofu, vegetables. These can be made fresh for dinner as a variation on the Grilled Vegetables and Tofu meal, or you can make the sandwich the next day using leftover grilled vegetables and tofu. Be prepared for a huge sandwich that will barely fit in your mouth! Makes 1 sandwich. Brush the cut side of the bread with olive oil and briefly grill or place it under the broiler for a couple of minutes to lightly toast the bread. If you aren’t making this with freshly grilled vegetables, heat the grilled tofu, eggplant, bell pepper and sun-dried tomato in the microwave or oven until warm. Pile all of the ingredients in layers in between the roll for a huge Dagwood sandwich. For a regular sandwich that can be consumed by mere mortals without unhinging your jaw to bite into it, limit the sandwich to tofu, 1 grilled vegetable, sun-dried tomato and basil. Experiment with any variety of grilled vegetables or tempeh instead of tofu. If your grilled vegetables seem a little dry, you might want to brush the bread with a little extra olive oil and balsamic vinegar. Make a low-sodium or gluten-free version by choosing an appropriate type of bread. 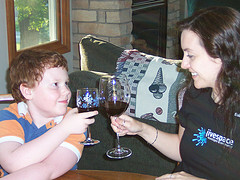 Published on July 11, 2011 in Meals in a Hurry. Closed Tags: avocado, bacon, BLT, sandwich, tomato. This is another one of my favorite summer sandwiches, and it is really just a tomato sandwich on steroids. Makes 1 sandwich. Spray a non-stick frying pan with a little oil and heat over medium-high heat. 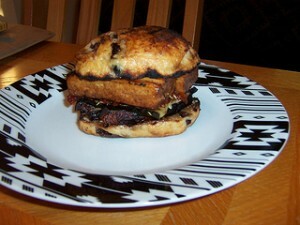 Add the tempeh bacon slices and cook for 2 to 3 minutes on each side or until lightly browned. Spread each slice of toast with mayonnaise. Add tempeh bacon, tomatoes, avocado, lettuce and pepper. Pictured with yellow tomatoes and multi-colored leaf lettuce. Replace the mayonnaise with Mango Guacamole or use guacamole, instead of avocado. Use spicy mustard, hummus or other spreads instead of mayonnaise. Add a few slices of pickles. 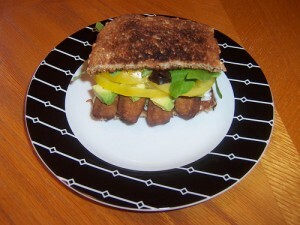 Published on May 21, 2011 in Gluten-Free, Low-Sodium and Meals in a Hurry. Closed Tags: avocado, lettuce, salad, tempeh. This is my standard summer salad when I want a light, quick lunch with vegetables and some protein. I usually make a batch of Italian Marinated Tempeh in advance and then have it available for a few salads throughout the week. Makes 2 to 4 servings. Annie’s Naturals Goddess Dressing to taste. Toss the lettuce, carrots, tomato, pumpkin seeds and tempeh together. Top with sliced avocado and serve with Goddess Dressing. Use packaged tempeh bacon if you don’t want to make marinated tempeh. Avocado and tomatoes are great in the summer, but during the winter, you’ll want to experiment with other vegetables. 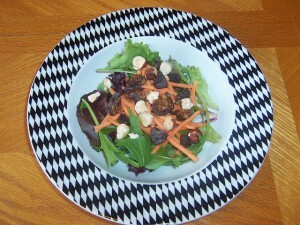 Top with balsamic vinegar and olive oil or another favorite salad dressing, instead of Goddess Dressing. For a low-sodium version, use the low-sodium variation of the Italian Marinade and serve with olive oil and balsamic vinegar to replace the Goddess Dressing. 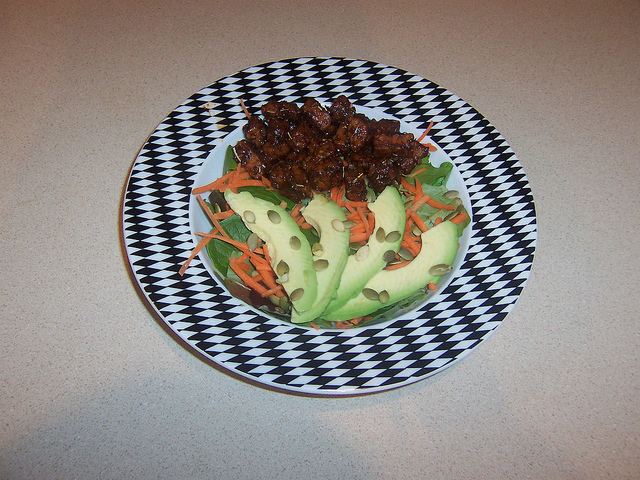 Can be easily made gluten-free by choosing an appropriate salad dressing and brand of tempeh. 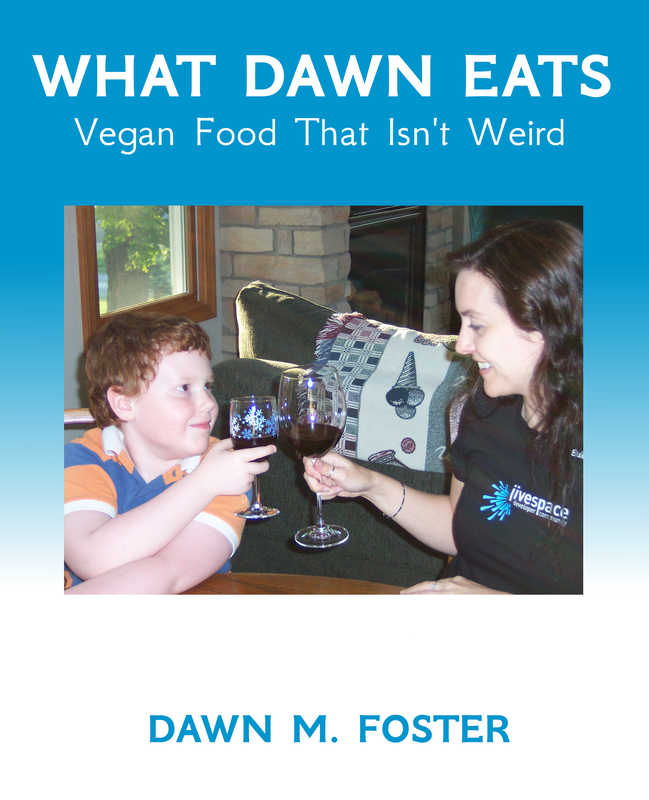 Published on May 8, 2011 in Gluten-Free, Low-Sodium and Meals in a Hurry. 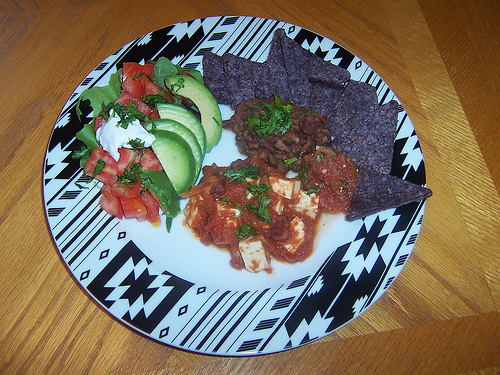 Closed Tags: mexican, nachos, salad, tortilla chips. Nacho salads make a great and flexible quick meal that you can make based on what you have lying around unused in the refrigerator. This is one of our standby meals for when we have an extra avocado and not much time to spend on dinner. Makes 2 servings. Heat the chili in a pan on the stove or in the microwave. Get 2 salad bowls. Split the lettuce between the two bowls. Layer 10 tortilla chips on top of the lettuce in each bowl. Pour half of the chili (more or less to taste) over the chips. Add cherry tomatoes. Top with a dollop of salsa, guacamole and sour cream. Add a handful of grilled vegetables or grilled tofu. Use sliced avocado, instead of guacamole. 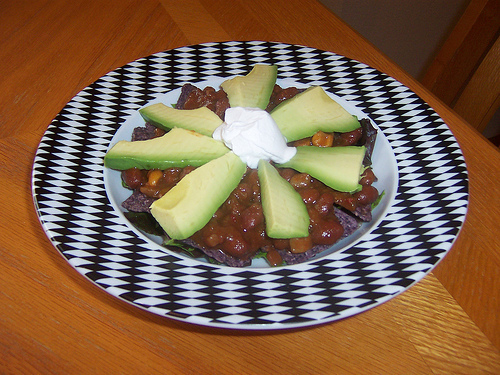 For a low-sodium version, you could use black beans instead of chili and go light on the salsa and sour cream. * Note: I avoid using spinach in this recipe. When you pour the chili on the salad, the spinach starts to cook and you end up with slightly slimy spinach instead of a crisp salad. Romaine is a good choice, but most lettuce will work just fine. Published on May 6, 2011 in Low-Sodium and Meals in a Hurry. Closed Tags: fig, hazelnut, salad. This is a great late summer salad in Portland when the many fig trees spread throughout the city are covered in figs. Serves 2 as a main salad or 4 as a small side salad. balsamic vinegar and olive oil to taste. Toss the lettuce and carrots to combine. Slice the figs and arrange on the salad. Lightly crush or chop the hazelnuts and sprinkle on top of the salad. Serve with a good quality extra virgin olive oil and balsamic vinegar that people can drizzle on their salad to taste. Use black figs if you can find them to add a nice color contrast. Experiment with different vegetables in place of or with the carrots. Portland is known for our abundant fig and hazelnut trees, but you can use almost any other fruit and nut combinations. Apple or pear and walnut, would be a good choice, too.